As a Mater Gemologist Appraiser, Tracy Lee Aros can help you evaluate the attributes of a diamond you own or are considering for purchase. Whether a new purchase, or family heirloom, she can grade your stone, explain its qualities, and how they determine its value. With estate appraisals or vintage jewelry, the details surrounding a gemstone have been lost to time and memory. Artabella can identify stones whether they are lose or incorporated into jewelry. People tend to think of the value of a diamond, or any gemstone for that matter, is based on its weight, as expressed in carats. The reality, however, is that other factors such as diamond color, clarity and cut quality also have a significant effect upon the price of a diamond. 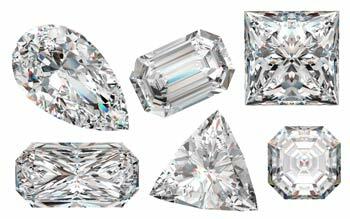 It is not common for smaller diamonds to cost more than larger ones because their other qualities may be superior. Because of the rarity of naturally occuring large diamonds, the per-carat price of diamonds increases exponentially with size. For example, a one-carat diamond is worth much more than two half-carat diamonds, and very much more than four quarter-carat stones. There are also significate price leaps that occur at important size divisions, called break points. For example, a 0.99 ct. diamond is priced on a different scale than one weighing a full 1.00-carat. The term “Clarity” refers to how clear a diamond is internally. The clarity grade of a diamond is determined by a skilled diamond grader based upon the number, size, nature, and location of the internal inclusions and external blemishes or any other imperfections that are part of the overall structure of the diamond crystal.Clarity is graded on a scale from “Flawless”to “Imperfect”. Diamonds below the grade of I-3 are not considered gems, but rather are suitable for industrial uses. Proportions, the angles of the facets described in degrees and percentages. Polish, the finish quality of the diamond. Symmetry, the consistency of facet shape and alignment. The term “Color” as used in reference to diamond grading refers to subtle differences in the actual body color or hue of the diamond itself and not the reflective properties. Diamonds are color graded against a set of master diamonds that have been accepted and registered by the GIA or the AGS. Truly colorless diamonds are very rare, as are naturally colored Fancy Color diamonds which are graded on a scale of their own.